Do you want to encourage your child to play more? Are you afraid that the convenience of the internet will have a negative impact on them? How do we control what our kids learn and remember? We have to accept that our little ones are growing up in the information age. It’s our responsibility to make sure that what they’re exposed to is age appropriate and healthy, lest they grow too big for their boots. So, let’s explore the world of educational toys — a fun and safe way to nurture your child’s mind. Use the links above to check the latest prices or read our in-depth educational preschool toy reviews below. 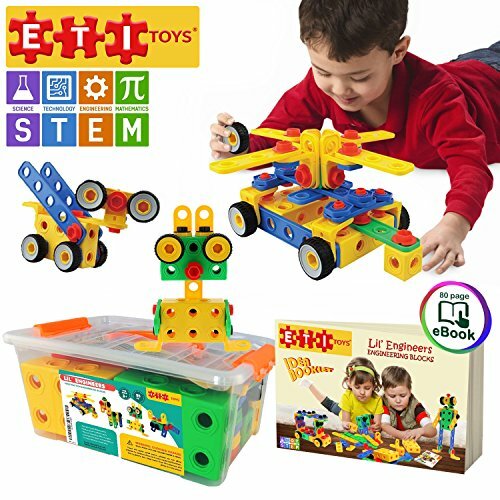 Why Are Educational Toys Important? Which Educational Toys Are Preschool Appropriate? Interactive, and educational are incorrectly used interchangeably to describe toys that stimulate a specific area of your child’s development. Interactive toys react, or give instructions, to your little one — usually to teach logic, reason, and consequence. Not all educational toys are interactive. Lego bricks, arguably the most popular educational toy of all time, are not interactive. Video games are — but not all of them are educational. In 2017, MIT researchers analyzed how children interact with artificial intelligence (AI). They found that preschoolers struggled a bit with communication, but enjoyed playing with interactive agents. The paper concluded that smart technology shows promise in education and could become an important companion to learning (source). But, since we don’t live in the future and AI has (thankfully) not taken over the world yet, what about simpler educational toys? Do they have any benefits? Cognitive ability: Expanding logic, reasoning, conflict resolution, pattern recognition, and problem-solving. They also teach cause and effect. Coordination: Handling educational or interactive toys significantly encourages both fine and gross motor skills (source). Emotional awareness: Interactive toys often promote communication, sharing, taking turns, etiquette, and emotional awareness. Language: Both educational and interactive toys can improve vocabulary through repetition, music or reading (source). Imagination: Educational play is also said to benefit our children’s spirits, self-awareness, and confidence. Creativity is definitely included here. Preschoolers are eager to explore the world around them, but they’re also under the impression that they are the center of it. It’s a good idea to introduce them to toys that inspire questions in their bright little souls — though be prepared to answer hundreds of them. It’s up to you to determine what you deem age-appropriate. Preschoolers are easily fascinated by everything, and good educational toys for them include everything from dollhouses to musical instruments (source). Speaking of music, I’d worry more about what you have to cope with if I were you. 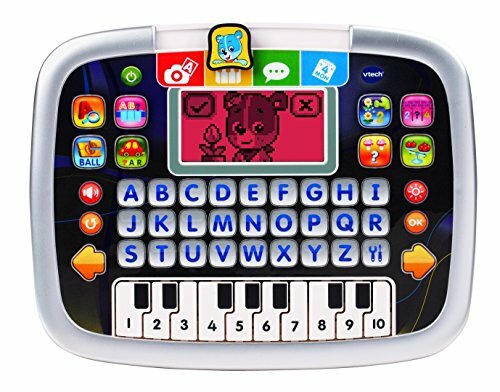 I made the mistake of buying my preschooler a keyboard. I now have to listen to the “Star Spangled Banner” a billion times a day. Now that you’ve learned all about educational toys (see what I did there?) it’s time for us to treat ourselves to some shopping. Go ahead and splurge. It’s not spoiling our kids if they’re learning, right? I enjoy playing with thisjust as much as my kids do. The simple design of this set is just great — you create your gears whichever way you please and hope that they run. You might not think that’s anything special, but try it for yourself! This plays a big role in developing your child’s logic, reasoning, problem-solving, and creativity too. Let’s not forget that the motions, design, and sounds are exciting to preschoolers. For storage, it comes with a bucket, although it may take patience placing all 116 pieces back inside. You may be thinking, “Eggs? Seriously?” but there’s so much more than meets the eye here. It’s a simple, all-rounder toy that teaches counting, colors and pattern recognition, all while developing motor skills. But what really makes this egg-cellent toy set stand out is how it incorporates the element of surprise. Preschoolers love guessing and solving mysteries. 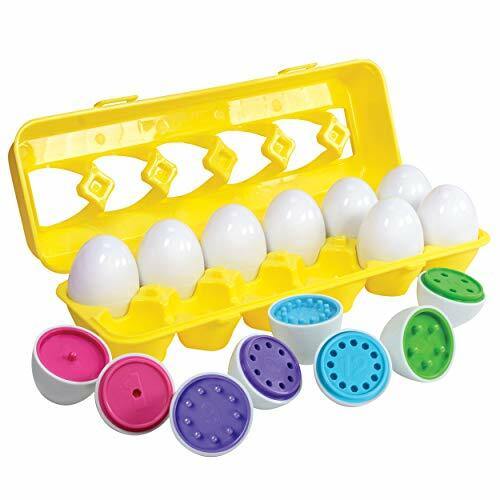 Revealing which number/color combo is inside each egg can keep them entertained. It’s suitable for boys and girls from 18 months up, though younger children might need your help dismantling the eggs. This little guy is charming and personable. Movi comes with six super fun cognitive games for your preschooler to enjoy. He’ll teach your kids their ABC, animals, shapes, colors, and listening skills. Movi has a full 360-degree range of mobility, and through his interactive games, encourages movement and exercise. He asks questions and promotes critical thinking and reasoning too. He demands a bit of floor space though, and he doesn’t have as much depth as other robots. With that being said, he’s not a bad place to begin. This impressive construction building set is, of course, great for boys and girls, but just mentioning building is enough to turn grown men into little boys again. It acts on your child’s imagination, creativity, problem-solving, and motor skill development. It includes close to 100 pieces of various sizes, colors, and functions (from wheels to bolts), and a carry box. You also get some freebies, including an extra wrench and an ebook full of designs to try. Each component is certified non-toxic and free from BPA. One main warning: you run the risk of adding a “man-child” to your list of dependants with this one. When I was a preschooler, I lived for the “Busy World of Richard Scarry” TV show, so there is a chance that nostalgia has made me biased. 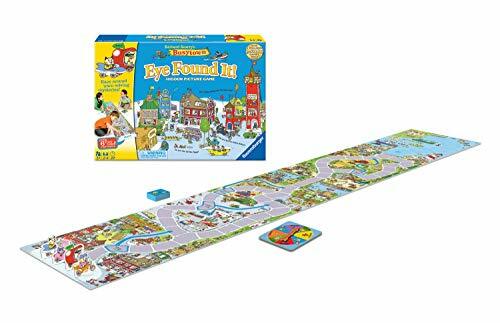 This is an awesome game for all; it’s educational and keeps the young ones active. The board is gigantic — over 6 feet long — and the objective is to make your way through it, solving mysteries and puzzles. Following instructions on cards, you work together to find hidden objects. It’s an adventure that develops teamwork, reasoning, and cognitive intelligence. It’s a lovely game that will keep the whole family entertained, but one consideration is that it requires a bit of room to set up. I’m guessing Lego doesn’t need an introduction. As I mentioned earlier, it’s one of, if not the most popular toy brands in the world. There is a reason why Legos are as widespread as they are. When it comes to developing imagination, cognitive thought and, most importantly, motor skills, they take the cake. 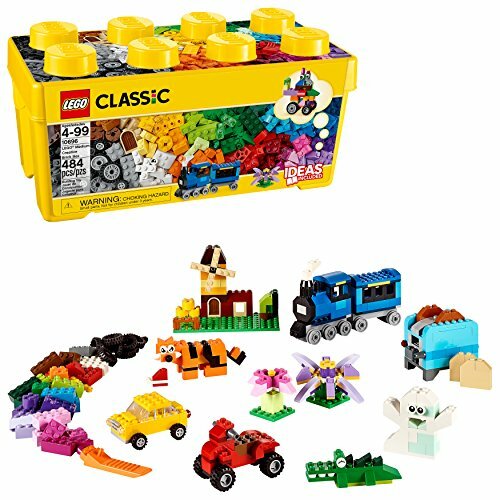 The medium Classic Brick Box contains just under 500 bricks, all of which are compatible with other Lego construction sets. It also includes a base plate, tires, wheels, windows, and eyes. We never seem to get bored with Lego. Still, I’ve taken points away because of the tidy up time, and the fact that stepping on these things hurts like hellfire. What makes this toy so great is the possibilities it opens up. 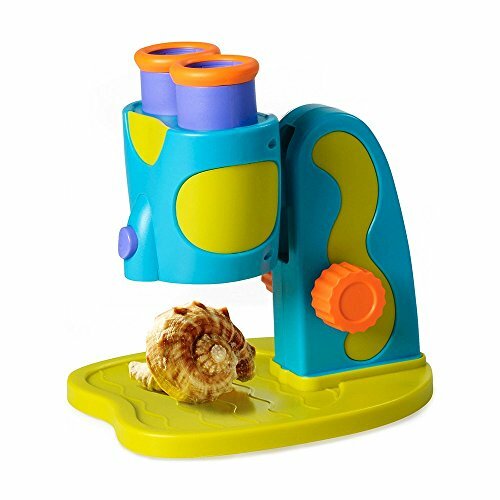 It’s a fully-functional microscope — designed by a scientist and mom of two — that will allow your little ones to learn more about the unseen world around them. Use its 8x magnification to observe coins, rocks, leaves, bits of food, dirt… it’s almost limitless. It has a built-in LED light, sample tray, and extra large eyepieces for the kids. It’s a well-designed, thoughtful, and fun way to get your kids interested in science, though it may be a little confusing for the younger ones. Regardless, it’s certainly worth investing in — even if only for later. 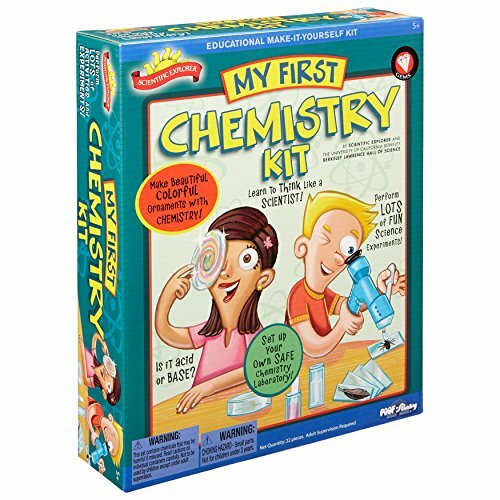 For the scientists who want something a little bit more snazzy than just a microscope, this chemistry set should hit the spot. What an excellent way to teach children action and reaction, cause and effect. Of course, it also gives them the foundations of chemistry. It’s exciting for both children and parents to see how these experiments pan out. There are 14 activities for you to try. The set comes with pH paper, a measuring spoon, microscope, Petri dishes, and more. This is a great solution for moms who want to introduce their preschoolers to technology, without the worry of the dangers online. It has letter keys, piano keys, a color-changing screen, and 12 activities of varying difficulty. This fun gadget teaches matching, counting, spelling, music, colors and more, and is a nice choice for the parents that want to practice the basics with their kids. Batteries are included, and it has an auto-off function to save power. Just remember my story of the “Star Spangled Banner.” With this toy, there’s volume control to help with that. This colorful and cute puzzle’s appeal lies in how it’s suitable for preschoolers who already know about associations, and also toddlers who are ready to learn. It promotes cognitive function and organization. Since this is a competitive game, it also inspires concentration, quick thinking, and social and emotional skills. The objective of the game is to act fast by grabbing matching pieces. If this isn’t your style, you can slow it down, or take turns instead. 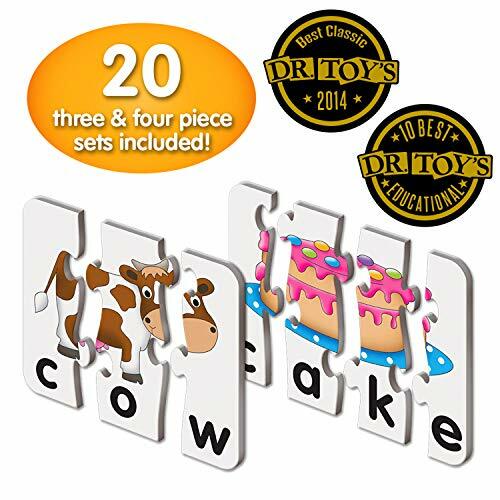 Following the same style and company from above, this puzzle is an effective tool to start your preschooler’s journey into spelling. It’s a fun way to teach tots their letters, and it’s a good challenge for children who already know the alphabet, but are practicing how to use it. There are 20 puzzles, for three and four-letter words. Each puzzle has a matching picture for associating. Pictures include bugs, pets, and other cool things, like cakes, for the kids to enjoy. It’s great for phonics, but since it’s self-correcting, some kids may find it too easy, or grow out of it quickly. Before you freak out, give me a chance to explain! 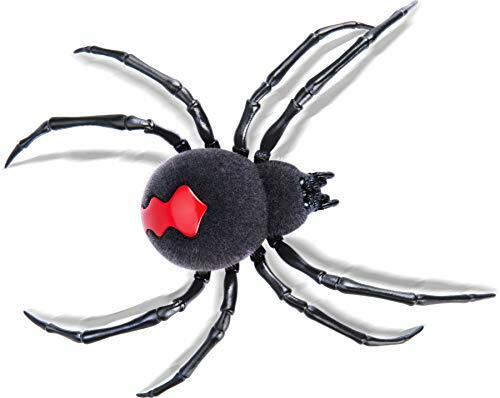 This is an interactive toy that is not only fun and educational (if you’re not arachnophobic), but imaginative too. This is an awesome tool that you can use to teach children about creepy crawlies without actually having to face real ones. 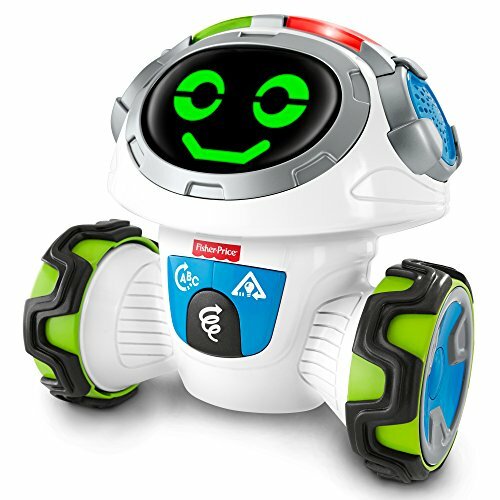 Although it’s not programmable, it’s still a fascinating robot that will allow your child to play effortlessly. As with other interactive toys, your child can develop their emotional and cognitive senses. It also raises awareness for nature and the ecosystem — how to recognize spiders, which ones to avoid, and how some people are afraid of them. Just make sure your children understand that they must not play with real spiders. Also, note that batteries are not included. Here’s something cute, so that you’ll forgive me for the spider. Although this little guy is not interactive, he certainly has a lot of perks for child development. 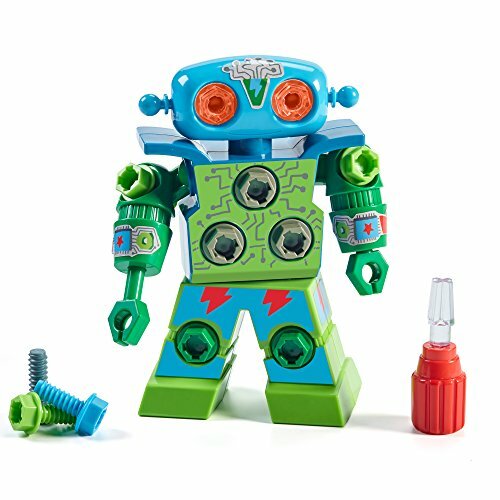 He is a STEM learning toy, for one, and he also benefits motor skills. The great idea behind this is that kids can — to a degree — build or design their own toy as they see fit. He comes with different colored bolts, stickers, and a screwdriver. He also has a swiveling head, and arms that can snap together to form a drill. It might be a bit cheesy but it’s also rewarding. This novel idea is simple, yet brilliant. These nifty letters jazz up meal times and encourage children to learn how to spell. As opposed to other spelling toys, there are no words that are “force fed” to your kids. 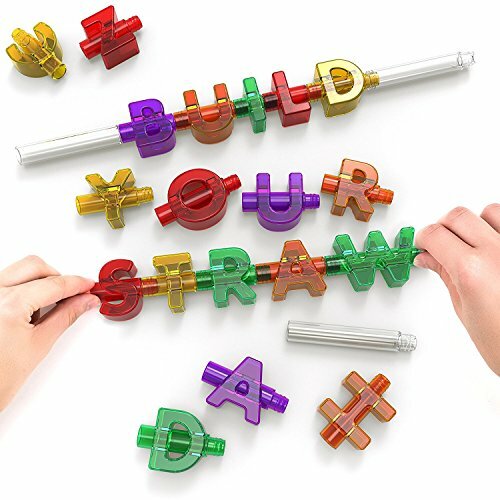 The letters are BPA-free, and the set includes 44 interchangeable letters and 4 straw bases. It’s perfect for kids of all ages, though with little ones there’s a choking hazard, so be careful. Worried about clean up? These straws are dishwasher safe, so pop them in and they’re good to go. This is a lovely little tool for school preparation. It’s an interactive station that helps with various areas of your child’s intellectual development, including spelling, vocabulary, counting, colors, music, reading, and artistic creativity. The desk itself is filled with activities, and it can transform into an easel and chalkboard, which I think is pretty great. You can also purchase various expansion packs as your child progresses, which is also awesome. Included is a little stool to help complete the scenario for your preschooler. They’ll be feeling all grown up before you know it. One more from VTech! This classic educational and playful book is so reminiscent of my own childhood (back in a time when electronics were basically magic). 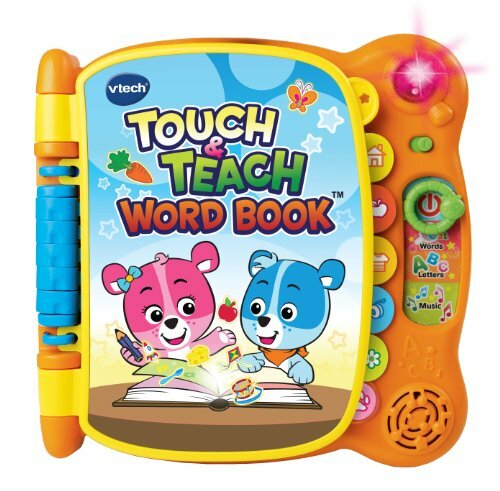 This activity book contains touch-sensitive pages that can improve your child’s vocabulary by up to 100 words. It’s also a good choice for fine motor skills. But it’s not just a spelling book. 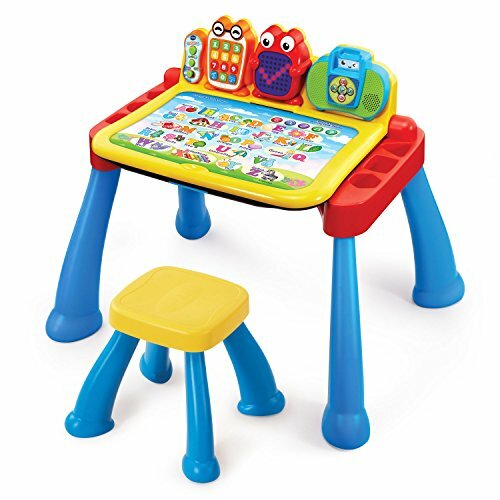 It teaches vocabulary and reading through interactive play. There are four modes to choose from and I don’t foresee younger preschoolers growing tired of it any time soon. 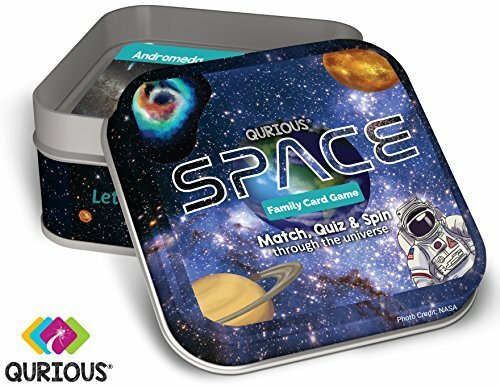 This versatile game is fun for the whole family and is a really cool way to get your kids interested in space and the universe. As with many others on this list, it’s excellent for cognitive and academic development and, since it’s a game, it promotes social development too. The set includes flash cards and bonus stickers. 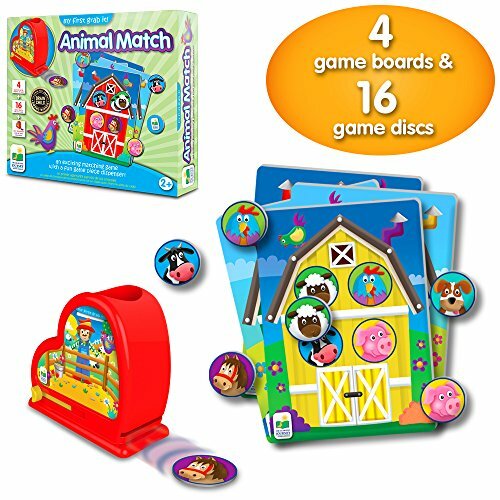 You can use the cards to play games of matching and memory, with up to 18 players. It’s suitable for kids aged 3 and up, but younger players may require a little help. 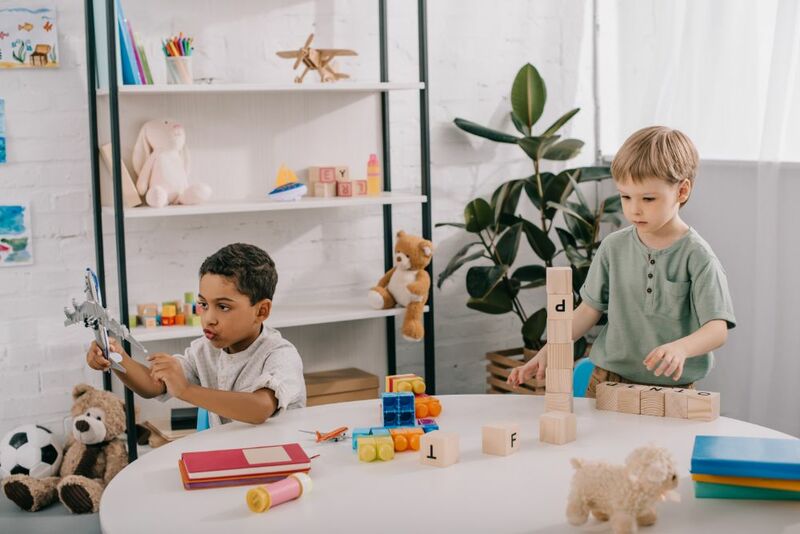 With the wide array of toys that are available, we’ve tried our best to narrow down the list of the best educational toys for preschoolers. Whether you’re looking to work on your little one’s social skills or memorization, these toys should fit the bill. At the top of our list is the Gears! Gears! Gears! 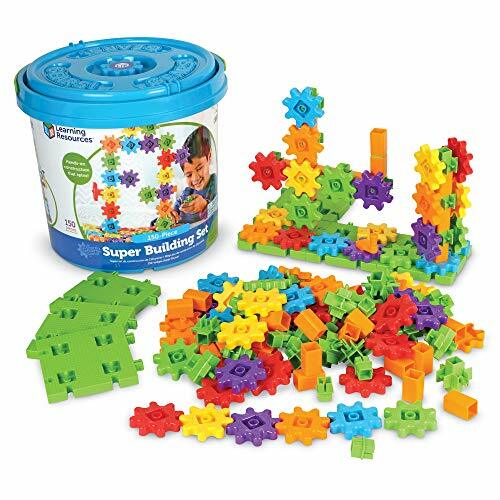 building set, a fantastic gears-building set with unlimited potential. I love how it develops fine motor skills, cognitive reasoning, and curiosity. With such a large amount of pieces included, we’re doubly thankful there’s a storage box too. That’s about it for the best educational toys for preschoolers. What toys does your preschooler enjoy? Leave us a comment below, and don’t forget to share with other mommies.